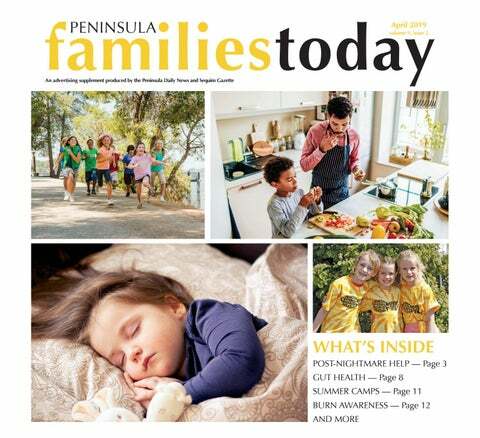 Peninsula Families Today is always looking for story ideas, news tips and more Peninsula Families Today is a familyfocused publication and is inserted into the Peninsula Daily News and Sequim Gazette. Please let us know what you’d like to see in the next issue of Peninsula Families Today. This publication welcomes input and new contributors. Educators, parents and professionals in their ﬁelds are invited to contribute informative and educational articles or columns for consideration. We cannot guarantee publication due to space and content considerations. If your submission is accepted, we reserve the right to edit it. 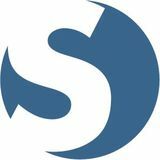 Send articles (.doc or .docx) and photos (.jpg or .psd at 200 dpi minimum) to special sections editor Brenda Hanrahan at bhanrahan@soundpublishing.com. For more details, call 360-452-2345. The Lower Elwha Klallam Tribe honored Jamie Valadez at the 21st annual student-led potluck for her contributions to preserve and grow the Klallam language and culture. Jamie published a dictionary, grammar book and collection of stories and teaches Klallam language classes at Port Angeles High School. Thank you, Jamie! Port Angeles School District News • The 2019-20 School Calendar is posted online under Calendars on the PASD website at www.portangelesschools.org. • Check the website for updates on the last day of school for the 2018-19 school year. • PAHS Graduation is Friday, June 14, at 7:30 p.m. at Civic Field. • Lincoln HS Graduation is Thursday, June 20, at 6 p.m. at Peninsula College. Stay tuned... call to ﬁnd out more or check out our website! A Taste of Mexico VOTED BEST MEXICAN FOOD SINCE 2003! Kids hit the ground running at the starting line for the 15th annual Kids Marathon at last year’s North Olympic Discovery Marathon in Port Angeles. ThunderRidge helps to get the kids ready and warmed to have their best race. Volunteers also organize the kids by grade. The oldest kids will go first. This month, the North Olympic Discovery Marathon provides schools in Clallam County with a running program. Talk with schools for more information. 609 W. Washington St #11 Sequim, WA. 98382 Direct: 360.504.2121 Cell: 360.808.5448 Zach@sweetspotsequim.com Like us on Facebook! Have you got your froyo on yet? Come visit us at Sweet Spot Frozen Yogurt. Any child from Clallam County who has trained the 25 miles prior to the event and then completes the 1.2 miles on the day of the race will become eligible for the annual Gene and Norma Turner Scholarship. Using the NODM Mileage Log, found at tinyurl.com/PDN-MileageLog2019, kids track 25 miles for 6 to 10 weeks leading up to marathon weekend. They set their own weekly goals, record their miles and earn rewards. Find tips for setting weekly goals at nodm.com/ kids-marathon/kids-marathon-training. Remember that every child is different. What works for some may not work for others, so be patient. Over time, as the child grows and talks through their dreams with you, they will begin to realize it is OK and not real when they wake up, and they will learn to put themselves back to sleep and selfsoothe. If you still feel stuck or not sure how to help, and the dreams do not improve, then cognitive behavioral therapy and retraining the brain can be very useful tools. Remember that every child is different. What works for some may not work for others, so be patient. Our job as parents is to make them feel safe and comforted, and as long as we do this while remaining calm, anything can be tackled and overcome. ABOUT THE AUTHOR Ashley Baker is a military veteran of four years in the U.S. Air Force. She is a mother of five children, ages 4, 5, 6, 7 and 10. She loves to coach basketball and play all types of sports. Baker and her husband spend their free time actively involved with their kids and their activities, as well as hiking, camping and being outdoors in general. She moved to Port Angeles two months ago from the Tacoma area and absolutely loves it here. Baker has a master’s degree in public affairs-emergency management, with ample coursework in psychology, early childhood education and leadership. Northwest Living AT IT’S BEST FOR A WHOLE LOT LESS! • Cuddle your child and talk calmly. Reassure them that they are OK. • Accept and appreciate your child’s very real fear and feelings. Do not get angry with them. • Be willing and prepared to stay with your child until they have calmed down. Some ways to encourage them to calm down may be things such as singing them a song, reading them a story or getting them a glass of water. • Be willing to talk to your child about their bad dream. According to kidshealth.org, you might say something like, “You had a bad dream, but now you’re awake and everything is OK.” Reassure your child that the scary stuff in the nightmare didn’t happen in the real world. Whatever you do, be sure to avoid things that can make the situation worse. Avoid ignoring the child. If you refuse to tend to their needs and be there to comfort them, it will only make the situation worse. Don’t get angry. Expressing anger and frustration at your child will only escalate the situation. Remember, the calmer you can stay, the easier it will be to calm them down. Don’t let them sleep with you. As a mother, I know this is a tough one. But believe me when I say this is not the best route. Allowing the child to sleep with you — while it may be a quicker resolution — will only create more long-term issues. There are steps we can take as parents to help prevent bad dreams and nightmares from happening. While it is not possible to prevent nightmares 100 percent, we may be able to reduce them. • Ensure your child does not watch scary or frightening television shows. • Consider the stressors your child may be facing, either at home or at school, and find ways to minimize those. • Have a regular bedtime and wake-up time. • Have a sleep routine that helps them slow down and feel safe and secure as they drift off to sleep. This might include a bath, a snuggle from you, reading or some quiet talk about the pleasant events of the day. • If you really feel stuck and seem to not be getting anywhere, you can always seek professional help through your child’s doctor. It is best that even if we help soothe our child after a nightmare, we encourage them to fall back to sleep on their own and let them know you are just steps away if they wake up again. Fans of Shel Silverstein will love Chris Harris and Lane Smith’s hilarious collaboration that covers everything from avocados to giraffes. In the Past (2018) By David Elliott; illustrated by Matthew Trueman Dinosaur poetry?! Need we say more? Beautiful illustrations accompany poems about dinosaurs from the brachytrachelopan to the megalodon separated into geologic time periods. Want more poetry titles? Contact library staff at BookMatch by emailing BookMatch@nols.org. ABOUT THE AUTHOR Jennifer Knight has been a youth services librarian at the Port Angeles Library for nearly 10 years. She is a 2009 graduate of University of Washington’s library science master’s program. Public Utility District No. 1 of Jefferson County is an Equal Opportunity Provider and Employer. “The medals and the popsicles.” Sixth-graders get ready for the 15th annual Kids Marathon at last year’s event. North Olympic Discovery Marathon and the YMCA Youth and Government. Without the support of the YMCA Youth and Government kids, this event wouldn’t be possible. The YMCA Youth and Government uses it as a fundraiser for their annual trip to the capitol. GIFT SHOP OPEN ALL YEAR! HOME OF THE WAVING BEARS! Kids Marathon sponsors include the title sponsor of the North Olympic Discovery Marathon, First Federal; Olympic Medical Center, Olympic Medical Center Foundation, Rudd Orthodontics, Olympic Kids Dental, Mended and Green Crow. Have you ever heard of the microbiome? We share our bodies with some 38 trillion bacteria! Of particular interest is the gut microbiome, the bacteria in our intestines that help us digest food and eliminate waste. The gut microbiome interacts with the immune system, protects us from some bad bacteria and, if we are to believe the latest reports, holds the key to our general health. There’s reason to believe this may be the case. Our brain and gut share the same chemical messengers. For example, 95 percent of our serotonin — a neurotransmitter that’s low in people with depression — comes from intestinal bacteria. So it should come as no surprise that our gut health impacts our overall well-being. As such, it makes a lot of sense that health-conscious parents are eager to understand ways they might improve the gut health of everyone in their family. So what impacts gut health? Our food! While there is evidence that the environment plays a role in our gut health, clearly the most powerful tools we have to improve gut health and keep the microbiome strong are decisions about what we eat. Since the microbiome begins to develop in utero and is largely developed in children by the time they get to middle school, it makes sense for parents to keep the microbiome in mind as food decisions are made for their children. We interrupt this article for a few words from our glossary: Probiotics are the living microorganisms in foods that are widely considered to improve and replenish the gut microbiome. They are found in high concentration in many foods, particularly fermented foods such as yogurt, kefir, buttermilk, kimchi, sauerkraut, miso, tempeh and others like this. Prebiotics are compounds in food that encourage the activity and growth of good bacteria, particularly in the gut microbiome. These include foods that are rich in fiber. Whenever possible, choose whole, real foods instead of packaged, processed food products. Fresh produce is one of the best sources of healthy bacteria. Packaged foods high in sugars, other carbohydrates and unhealthy fats are devoid of bacteria and in some cases can even damage bacteria. Processed foods are designed to encourage increased consumption and are tied to the rise in obesity all around the word. For this reason alone, a good guideline is to eat less. But there’s more! In his book, “In Defense of Food,” Pollan discusses not just what we eat but how we eat. He asks if we are taking the time to sit down to a meal with all the things that make it enjoyable: the company, the conversation, the presentation? Eating mindfully helps us eat not only healthy foods, but healthy amounts. Nutrition researchers agree on one point: eat your veggies! A colorful variety of vegetables, especially leafy greens, contain most of the essential nutrients our bodies, including the microbiome, need to stay healthy. Vegetables are rich in prebiotics, which are great for our gut bacteria. The microbiome thrives on a high-fiber diet! There’s a lot to talk about. Let this be a conversation starter. Some evidence even suggests downsides to probiotic pills. On the other hand, naturally fermented foods do promote healthy gut bacteria. Get that good bacteria started with fermented foods and beverages, then feed them with high fiber veggies, fruits and whole grains. dental training at the University of Washington School of Dentistry. He has 25 years of experience in general dentistry and recently joined the staff of North Olympic Healthcare Network (NOHN) as its first dentist. Dr. Maxwell and their new dental staff will be open for business in late April at the NOHN clinic at 933 E. First St. in Port Angeles. 360-457-1045 114 W. Front, P.A. And Handcrafted Trufﬂes & Chocolates Made Here! • Educational hands-on • Pre-K – 4-5 yr olds - Tues., Wed., Fri. learning • 3-4 yr olds – Tues. & Thurs. • 8:00-11:00 or 12:00-3:00 - Tues., Wed., Fri. • 8:00- 11:00 - Tues., Thurs. through Fort Worden State Park. Camp options for children ages 3 to 13 are available from June to August. Camps include Longboat Explorations, Seal Pups Day Camp, Junior Explorers Day Camp, Coastal Explorers Day Camp, Marine Biology Day Camp, and Art Camp: Art in Nature. Fees depend on which camp is selected. Camps generally fill up quickly, so people are encouraged to register soon. Port Townsend Marine Science Center members receive a discount off each registration. Scholarships are available for those who qualify. For more information about Port Townsend Marine Science Center summer camps, visit ptmsc.org/programs/learn/ camps, email camps@ptmsc. org or phone 360-385-5582, ext. 120.
away from your face. • Place hot liquids and foods in the center of a table and out of the reach of a child. • Do not carry hot items while also holding a child. • Set hot water tank temperature to 120 degrees or below. • Test the water with your wrist or elbow before putting your child in a bathtub. • Never leave your child unattended. • Install scald-guard faucets so the water never gets too hot. Turn away Turn pot handles away from the stove edge so they can’t be pulled down by a curious child or accidentally knocked over by an adult. Create a “kid free” zone in the kitchen. • Use outlet covers on electrical outlets. • Keep matches and lighters out of reach of children. Teach children that these are tools and not things to be played with. • Do not leave lit candles unattended. • Don’t let children play with electrical cords or electrical outlets. First-degree burns, or superficial burns, are the most common type of burn. Only the top, outermost layer of your skin has been burned. They usually occur after touching a hot stove or hot appliance. A typical sunburn is an example of a first-degree burn. The burn will be red and painful but not have blisters. First-degree burns usually heal within seven to 10 days. Most first-degree burns can be treated at home. safe sTorage Keep matches and lighters safely stored and out of children’s reach. Teach children that these are tools and not something to be played with. Don’t leave candles burning unattended. TesT The waTer Set your hot water tank temperature to 120 degrees or below. Test water before putting a child in a bathtub. A child can easily be burned from tap water that is much too hot. ouT of reach Place hot liquids and foods in the center of a table and out of the reach of a child. A quick grab could easily spill that liquid. Also don’t carry children while carrying a hot liquid. Quality children’s clothing, and toys to inspire their imagination! Second-degree burns, also called partial thickness burns, affect the outer and lower layer of the skin. There will be pain, redness, swelling and blistering. They can be caused by scalding, fire and electricity. Depending on severity, location and amount of area burned, these may require a doctor’s visit or could be treated at home. Burns may take a few weeks to heal. Third-degree burns, or full thickness burns, go down to the deeper tissues of your body. Skin will be charred black or white. The area will often be numb instead of painful. These are serious burns; never attempt to self-treat them. Call 911 immediately. Treatments can range depending on the severity of the burn and the amount of skin affected. Healing time depends on the location and severity of the burn. tap water for several minutes, or apply a cold, wet compress. Do this for about 5-10 minutes or until the pain subsides. (Do not use ice or cold water, as these could damage the skin.) Do not break any blisters that start to form. You may need to apply a dressing to protect the wound and keep the area clean. Use a sterile gauze bandage. Wrap it loosely to avoid putting pressure on the burn. Some other treatments for less severe burns include apply lidocaine with aloe vera gel or cream to soothe the skin; take acetaminophen or ibuprofen for pain relief; or using an antibiotic ointment and loose gauze to protect the affected area. Never apply cotton balls to a burn because the small fibers can stick to the injury and increase the risk of infection. Also, avoid home remedies like butter and eggs, as these are not proven to be effective. ABOUT THE AUTHOR Trish Tisdale is a volunteer EMT with Clallam 2 Fire-Rescue in Port Angeles. She has been an EMT since 2003 and has also served as a firefighter, rescue diver and wildland firefighter. • Neutral 3rd party mediators will guide you through the communication and negotiation process. • Restore and strengthen your relationships. • Gain knowledge of the other parties’ needs and interests. • Together create your own agreements. Musical Theatre Intensive for Teens A two week workshop July 22 - August 2, 2019 Learn from industry pros: Linda Dowdell – Brendan Chambers – Maggie Bulkley ➽ explore acting and becoming a company! ➽ Audition ➽ Write original scenes! Coaching! YMCA OF PORT ANGELES Summer Day Camps at the YMCA of Port Angeles, 302 Francis St. in Port Angeles, will offer morning and afternoon camps each week from June 24-Aug. 30. Camp registration opens May 1. Campers can register for one or JUAN DE FUCA FESTIVAL OF THE ARTS more weeks and have the option of The Juan de Fuca Foundation morning or afternoon classes or both. Discovery Arts Camp, with Turning A wide variety of camps are the Wheel, presents “Every Body available, including options for Dances! Every Story Shines!” youth interested in sports, dancing, summer camp from July 29-Aug. 2. cooking, art and hiking. The camp will be held from 9 a.m. A Junior Camp Counselor to 12:30 p.m. at Jefferson Elemenprogram is available by application tary School, 218 E. 12th St. in Port for ages 13 to 16. Angeles. For information about summer Registration is now open for kids camp programs, email cassie@ olympicpeninsulaymca.org, visit ages 7-12. olympicpeninsulaymca.org or phone Join guest artists and multi360-452-9244. instrumentalist musician James Later in the summer, overnight Hoskins from “Turning the Wheel” youth and family overnight camps for a creative week of discovery. will be offered. Campers will explore who they Family Overnight Camp at Camp are and where they come from, as David, 1452 Camp David Jr. Road in well as their dreams and wishes, Port Angeles, is a five-day sleep though interviews, improvisational away camp for the entire family dances and theater forms. June 28-July 2. They will create a dance, build a For more information about set, take pictures, build a mural, play overnight camp or to register, visit theater games and make masks. olympicpeninsulaymca.org. At the end of the camp, students More summer camps will will have created a multimedia undoubtedly be announced after the performance for the community. publication of this special section, so For more information about the keep an eye out on the Peninsula camp, visit jffa.org or contact Kayla Oakes at 360-457-5411 or kaylaoakes Daily News, Sequim Gazette and @jffa.org. Forks Forum and their websites. number of scholarships are available on a first-come, first-served basis. For more information, phone Feiro Marine Life Center at 360-417-6254 or visit feiromarinelifecenter.org/ youth-programs. More personalized than your search engine We take the time to listen! Picture yourself on the starting line! Set a goal to complete the 12k or 6k Jefferson Healthcare Rhody Run, the run that cares for the runner.